MALLET -I. de Nicaria et Patmos. MALLET, A.M. - I. de Nicaria et Patmos. I. de Nicaria et Patmos. - MALLET, A.M. Title : I. de Nicaria et Patmos.. 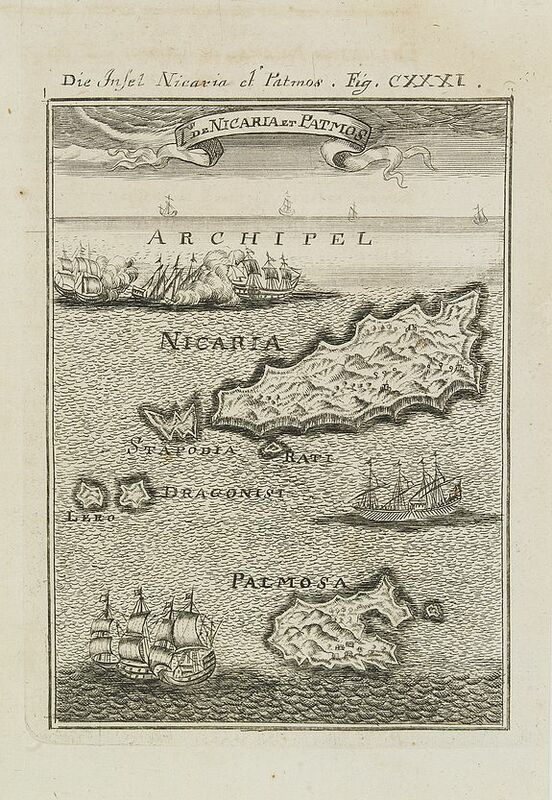 Description :A charming late 17th century map of the Island of Nicaria and Patmos. Located on the eastern borderline of the Aegean Sea, Patmos is the northernmost island of the Dodecanese island group. Condition : Some slight marginal water staining. Minor discolouration due to the oxidation of ink from an adjacent text page. Else very good condition.